As a project manager at an app development company, we talk a lot about the “iron triangle”, or “triple compulsion.” Both of these terms instantly relate to the scope, cost & schedule of a project. Think about the scope, cost, and schedule as the three sides, covering quality. When one side lacks the triangle becomes incomplete, resulting in quality drastically suffering. Simple enough, right? 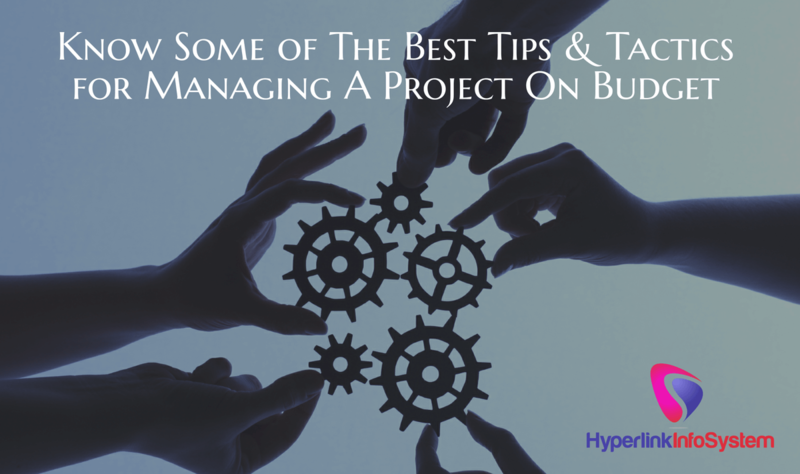 One of the simple ways to break that triangle and for a project’s quality to be negatively affected is by budget; it is important for the project manager to manage budget from an internal & external view. Let’s take a look at what that really means, and how you can completely manage your project’s budget. This will likely occur while the discovery phase of your project this is at that time when your project manager discovers what your company can provide in terms of budget. This point goes hand-in-hand with the evaluation process. Mixing a variety of estimating techniques will help in order to provide the most accurate estimate. Firstly, you must define your project and the deliverables you will provide at the end of the project. When estimating line items, we suggest getting a technical expert judgment from someone who has worked on a related project, connecting & learning from other projects, regarding core costs first and then going up to those more complex items afterward. That is completely correct- review, review & review repeatedly. Not even the most accurate software project managers will be capable to correctly forecast hours and have a team on track during a project without a regular review of budget & resource allocations. If you mark your project is constantly going over-schedule, it might be time to talk with your client and/or project stakeholders about developing a budget. There is no reliable way to blow a budget than by scope edge & important schedule changes. Project managers must be careful from the starting of the project, and they should know the client’s vision & requirements for the project. Project managers should involve a process for any changes in scope. If any changes appear then project manager should communicate to the client how any changes will affect the budget. If you control scope and the project schedule, you will be more in control of your overall budget. Interaction is KEY to any part of agile project management, talking enables project managers to set & maintain expectations so that there are no surprises. If you are going to be a bit over budget expected to client requests, new features, etc., you need to communicate to avoid a surprise when it appears to invoice. If your team is consistently working overtime, meet with your project team to find out the root of the problem. You will be amazed at what can grow out of a simple conversation with your project team. By your project team being on the same page in terms of communication, stakeholders of the project will know they are in the loop when it gets to budget- and there will be no surprises. These are just suggestions that any of our project managers have found to be helpful in terms of keeping a project on budget, Please feel free to tell us about your agile project management advice!